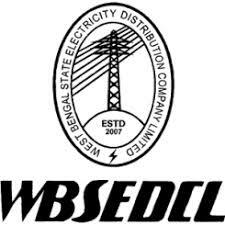 WBSEDCL Recruitment 2017: WBSEDCL stands for West Bengal State Electricity Distribution Company Limited. The WBSEDCL released the notification for 365 job openings for Sub Assistant Engineer positions through the official website www.wbsedcl.in. The candidates who have successfully completed their Diploma in Engineering and searching for jobs in Government Sector, this was the best opportunity. Every year WBSEDCL conduct recruitment the young achievers for fill the vacancies. For this position, the online application process already started before a few days ago, and it will be closed on 21st April 2017. So, guys the applicants who are eligible for Sub Assistant engineer must apply online before the Last Date. The more details about WBSEDCL Recruitment 2017 are given below. The West Bengal State Electricity Distribution Company Limited, release the notification for 365 positions in various types of jobs in Sub Assistant Engineer positions. In this 323 openings for Electrical Department and 42 for Civil Departments. The online application process will be closed on 21st April 2017. And Hard Copy of the application submission Last date is 28th April 2017. So guys who are eligible for these positions must apply before the last date of the application Process. Check for more WB Govt Jobs The details about the Interview or examination date and time for the position of the West Bengal State Electricity Distribution Company Limited will update soon. And More details about WBSEDCL Recruitment 2017 like Notification, Job Type, Application Starting and Ending Date, Official website of the organization and other details are given below. For more recruitment notifications just click on www.sarkarirecruitment.com. The Notification Details of West Bengal State Electricity Distribution Company Limited, Sub Assistant Engineer job recruitment for the year of 2017 are given below in Table format. The below given table have the details of organization Name, Number of positions, Type of Positions, and other details are given below. Each and every candidate must know about the qualification and eligibility criteria before applying to any Interview or for any job openings. So, fro this West Bengal State Electricity Distribution Company Limited, Jobs the required details are given below. The candidates must have a qualification of Diploma in Electrical/ Civil Engineering from recognized university. More details about Qualification check the official notification of WBSEDCL. The applicants who want to apply for WBSEDCL positions, the Lower age limit is 18 years and Upper age limit is 27 years for General, 30 years for OBC, and 32 years for SC/ST candidates. The candidates who want to apply for the positions of West Bengal State Electricity Distribution Company Limited(WBSEDCL), need to pay Rs.300/-. For the application fee, the Reserved category candidates must check the official Notification of WBSEDCL. First go to Official Website of WBSEDCL, www.wbsedcl.in. And fill the Application Form with required details. Finally, Submit the Application Form at Interview place. Finally, we hope this article is best for your wonderful career. And follow us for more updates about the recruitment notifications. If you have any doubt about this article just write a comment below check box. Because your suggestions are important for us. For more updates about job notification keep follow our official website sarkarirecruitment.com.